Specimen: Assume that one of you customer has purchased goods having value of TK. 1, 00, 000. The last date of payment is November 25, 2013. 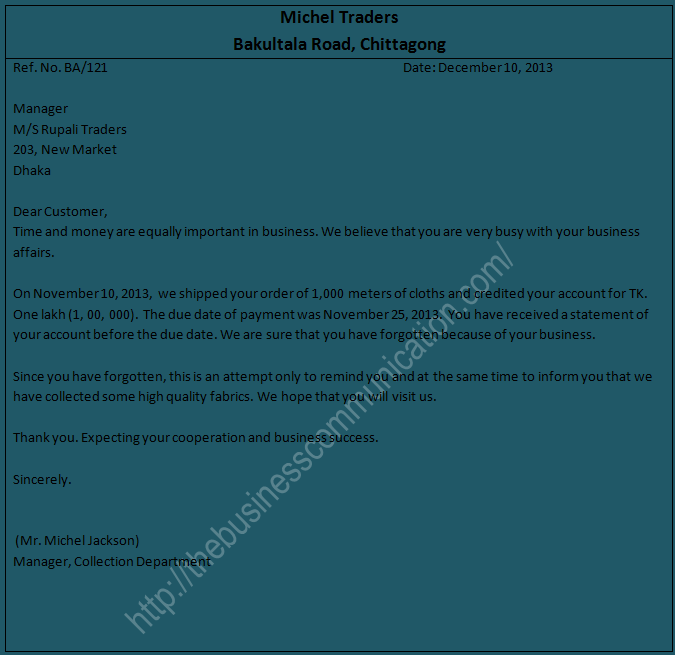 Send a statement of account to his customer. Specimen: Assume that a customer has purchased goods having value of TK. One lakh (1, 00, 000). 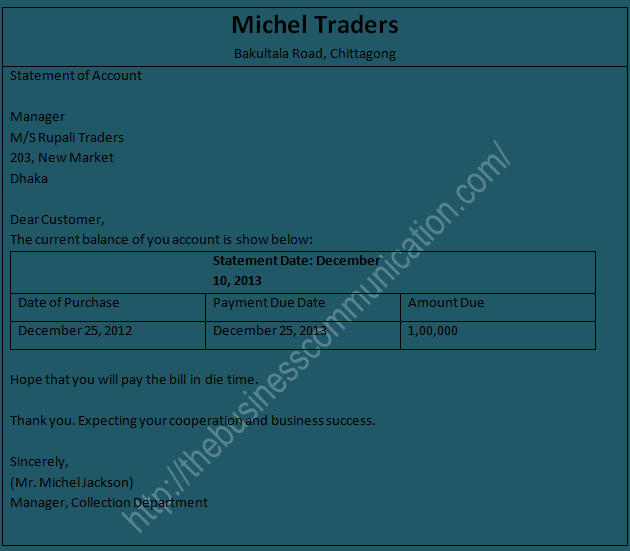 The due date of payment was November 25, 2013. The customer did pay though one two weeks have passed after the due date. 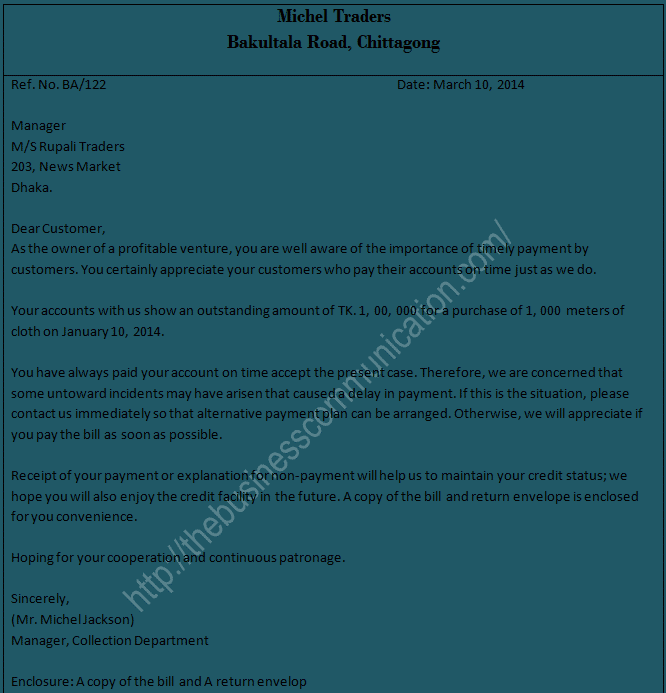 Send a reminder letter to the customer. Specimen: Assume that a customer did not pay his outstanding amount in spite of sending reminder letter. Draft a second reminder letter requesting him to pay the dues. Specimen: A customer has not yet paid his dues even though a statement of bill and two reminder letters were sent to him. 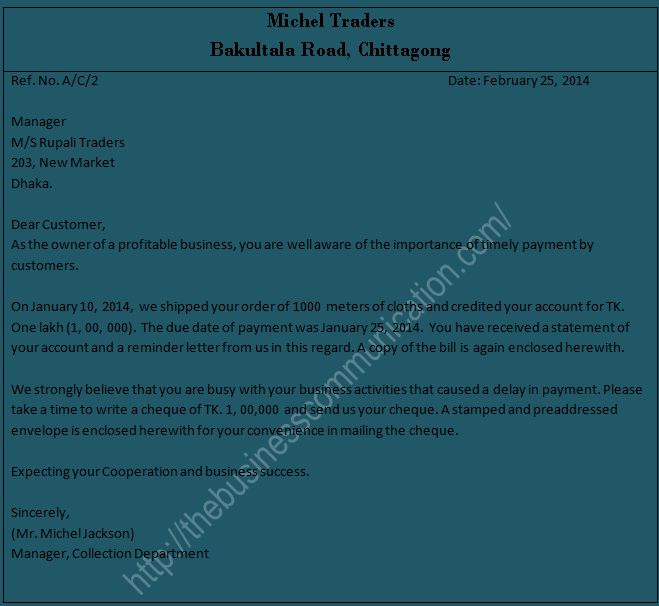 Draft an inquiry letter asking for payment and explanation for non-payment.